The samurai sword: symbol of the spirit of old Japan it embodies the samurai's steely discipline, unswerving devotion, and peerless skill. A feat of craftsmanship by hereditary artisans, the samurai sword is often judged superior to the famed blades of Western Damascus and Toledo. 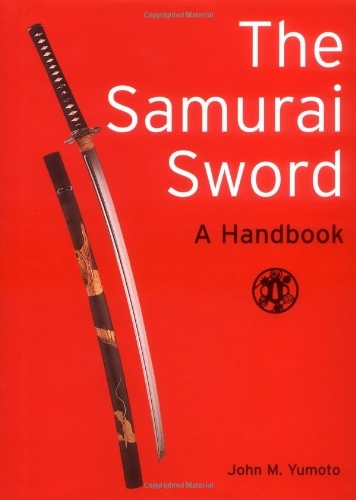 This complete handbook reveals the lore of the samurai sword, fascinating both for owners and for the intrigued. Detailing the origins and development of the samurai sword, its historical background, styles, famous schools, and differences in construction, outlining methods of identifying and researching the sword, as well as caring for it properly. The author, <i><b>John M. Yumoto,</b></i> is perhaps the foremost authority on the samurai sword outside of Japan. A native of California, he began his study of Japanese swordcraft during his early childhood in Japan. While in Japan he studied under a number of masters from different schools and learned the art of sword polishing and of identification and evaluation. He has held membership in a number of sword clubs and at present is an active member of the Japan Society for the Preservation of the Samurai Sword and the Northern California Sword Club.